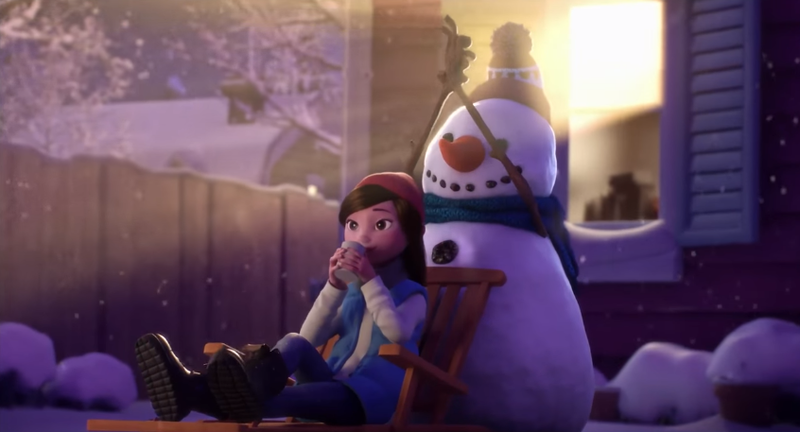 Toronto ad agency Zulu’s latest film Lily & The Snowman for Cineplex, the short film will run in Cineplex’s theatres and online. It’s a touching piece about growing up and remembering the things in life that matter, and it is simply beautiful. Lily & the Snowman features music and song of Genesis’ “Follow You Follow Me” performed by Canadian singer Adaline. Below, A behind-the-scenes look at the making of Cineplex's Lily & the Snowman. Follow the filmmakers on a journey as they narrate how they brought the magical story to life from initial concept sketches to full-colour animation and more.